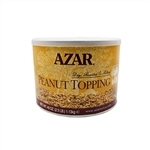 Our supply of bulk nuts for baking & cooking is unmatched in the restaurant industry. We carry all of the different healthy nuts including almonds, walnuts, cashews, pistachios, pecans and more! Baking Nuts available as whole, chopped, slivered, and blanched can be used for baking pies & cakes, sprinkled on ice cream as a topping, or added to casseroles for flavor. Cooking nuts like almonds and cashews are a healthy, delicious and flavorful addition to salads and desserts. It’s no wonder that nutty dishes and desserts are always a customer favorite! With so much demand for nut-based foods and even drinks, such as various nut milks and almond-based horchata, buying slivered nuts in bulk saves money as well as prep time in the kitchen. You can also buy in bulk whole nuts to chop, sliver and slice according to your baking needs. 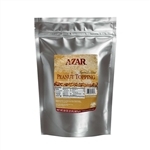 Azar Sweet Trail Mix 1 oz. 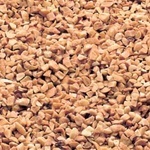 John B. Sanfilippo and Son Dry Roasted Granulated Peanuts - 5 Lb. John B. Sanfilippo and Son Fisher Natural No Salt Granulated Peanut - 2 Lb. Kraft Planters Dry Honey Roasted Peanut Tines - 52 Oz. 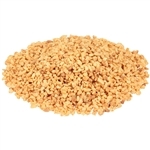 Nutmeats Granules Peanut Full Chop Small - 30 Lb. 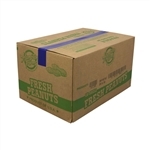 Nutmeats Salted In Shell Peanut Roasted Box - 25 Lb. Trail Mix Mountain - 5 Lb. 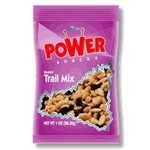 Governers Snack Mix - 7.5 Lb. Dry Roasted Granulated Peanut - 30 Lb. 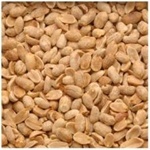 Almond Natural Sliced Roasted - 5 Lb. Round Eye Supply is the go-to wholesale source for restaurant nuts, baking nuts and pie nuts. Our fast, reliable shipping and quick customer support are part of why many restaurant owners all over the United States trust us as their wholesale nuts supplier. Remember, for the benefit of patrons with food allergies, it’s always a good idea to be clear on your menu about which desserts and treats contain chopped nuts or any other nut topping! Shop our selection now! 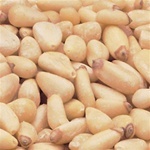 Buy Wholesale Nuts for your restaurant and food service cooking needs. Adding nuts to your menu dishes will keep your food patrons happy and healthy for years to come. Nuts are little packages of proteins, oils, vitamins and minerals essential to growth and germination. Raw Peanuts which we store are high in protein. The peanut is not a nut, but a legume related to beans and lentils. Researchers observed that a diet containing peanuts and peanut butter is a good source of protein and helps to include more of the unsaturated fat and both naturally have zero cholesterol. Fresh raw nuts in their shells make the best snack food as the oil will be fresh because of the natural protection of the outer shell and cracking open the shell forces you to eat more slowly instead of handfuls of nuts that are improperly chewed and swallowed. These Raw Peanuts are used in Chinese and other Asian restaurants around the world. Cashew nuts are a popular snack and like all nuts are an excellent source of protein and fiber. They are rich in mono-unsaturated fat which may help protect the heart, promote strong bones, and give you energy. Cashew nuts are also a good source of potassium and B vitamins. They contain useful amounts of magnesium, phosphorous, selenium and copper. Like peanuts, cashew nuts are often salted. This added sodium content may contribute to increased blood pressure. So buy plain roasted cashew nuts without added salt. What a great source of natural nutrition. Almonds contain vital nutrients that can lower cholesterol, lower risk of heart diseases and ward off certain cancers. We store various types of Almonds, for instant, Whole Almonds, Half Almonds, and Strip Almonds. All are shipped in 5 Lb plastic containers. We offer you high quality Almonds that are great snacks for the whole family, wonderful gifts for special occasions and used in the ingredients of the food cooking to add that delicious taste and provide your body with all the necessary proteins. Almonds are a valuable food for vegans and vegetarians. Use Nuts in your desserts; make the most delicious desserts with Walnut. We ship Walnuts in 5 Lb Containers. You can have our Walnuts in your cakes, cookies and brownies. If you want to add some zip to your average everyday menus, try our walnut recipes that transform ho-hum dishes into oh-yum! dishes. Walnuts, in particular, have significantly higher amounts of omega 3 fatty acids as compared to other nuts. More than a decade of scientific evidence shows that incorporating Nuts in a healthy diet reduces the risk of heart disease by improving blood vessel elasticity and plaque accumulation. These Nuts have also been shown to aid in the lowering LDL cholesterol and the C-Reactive Protein. Researchers approved that these Nuts are the only kinds that contain less than 4g of saturated fats per 50g. Thank you for browsing. Hoped we had fulfilled you with all the information required in order to take the step to put your family and you in a health condition. Nuts are also found in buffets and salad bars. Throw some almonds into a blender for great smoothies or to create almond milk which is 100 times more healthy for you than cow milk.